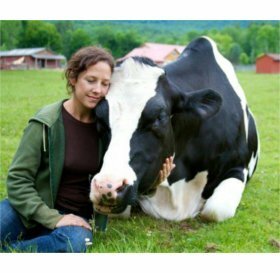 May 2014 – Do You Love Animals More Than People? Wishing all mothers a wonderful Mother’s Day on Sunday. I hope you enjoy the recipes in this issue. 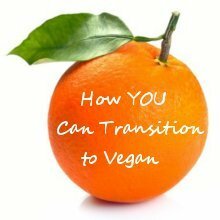 There is also an article which might resonate with you about the ‘angry vegan’ stereotype and how compassion leads to transformation. Do You Love Animals More Than People? — Knowing about animal abuse can make us see red. However, treating people with contempt is a sign that we are not processing our own suffering effectively. Here are some tips on how to handle this situation more constructively. 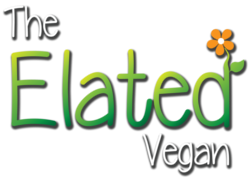 ‘The Vegan Menu’ Recipes Now on Elated! I am overjoyed to announce a new foodie blogger on Elated. ‘The Vegan Menu’ offers a fantastic subscription service of 5 new recipes every week as well as a free weekly recipe for non-subscribers. All vegan, oil-free, whole foods. Check out this selection of their free recipes and then take a look at their site. 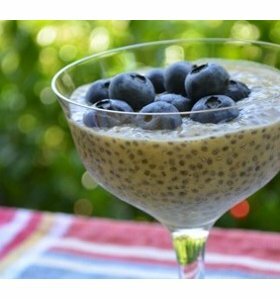 Mango Chia Pudding with Blueberries — High in protein and guilt free, this makes for a light dessert or healthy breakfast. Caribbean Veggie Chowder — Sweet and spicy, this chunky chowder will take you to the islands and deliver a nourishing meal for your family. Quinoa and Chickpea Coconut Curry — This quinoa and chickpea curry is simmered in coconut milk. 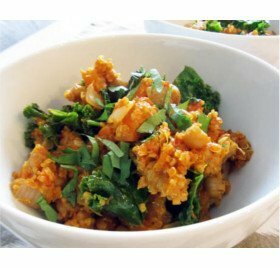 It is quick and easy to make, packed with nutrients and absolutely sublime! Raspberry & Rose Popsicles — These vegan ice lollies are refreshing, delicious and healthy. They contain no fat or sugar, just fruit, rose water and Stevia. 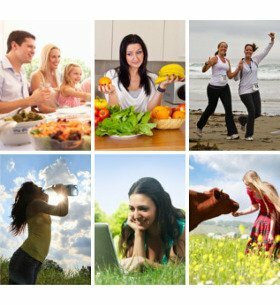 1-Month FREE Vegan Life Coaching — Apply now and you might qualify for 1 month of FREE Elated Vegan Life Coaching. I am 100% committed to your personal development. Please only apply if you are ready to commit to the life coaching process and are willing to respond and communicate. Get Your Personalised Meal Plan or Workout Schedule for $5 — Do you want to get radiantly healthy, lose weight or get fit? I can help you achieve your goals with a high-nutrient, plant-based meal plan or workout schedule that is personally designed for you. Become an Elated Subscriber for only $5 a year — For just $5 you get 1 new recipe every week for a whole year! You also get to see everything new on Elated first. Thank you for your kind words and actions. I love knowing that the world is home to people like you. You give me hope for the future and make the world a better place!